If I told you that you could improve your liver health or relieve a sore neck by giving yourself a foot massage, there is a good chance that you would be pretty skeptical about it. If you are not skeptical of it, you are probably surprised by it, and if you are not surprised by it then you have probably heard of reflexology. Reflexology is a therapeutic method of relieving pain and improving health throughout the entire body by stimulating pressure points in your feet and hands. Although most people go to a professional reflexologist for this, you can still get the benefits of this therapy by doing it on your own. But before I show you how to perform reflexology on yourself, first I’ll you all of the benefits that it could provide you with and why it works. Reflexology is a type of science based on the idea that there are “zones” or reflex areas on the hands and feet that correspond with all of the glands, organs, parts and systems found inside or on the body. 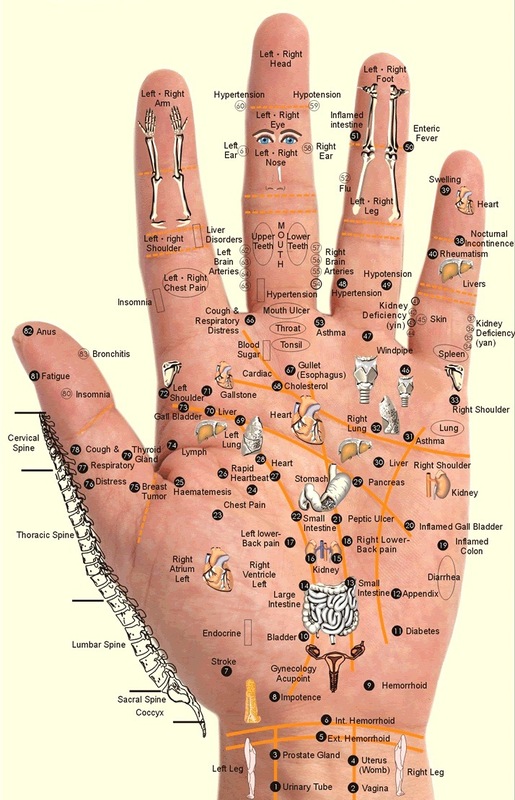 According to the idea of reflexology, applying pressure to these points using specific thumb, finger and hand techniques results in a reduction of stress in the body. This reduction of stress is said to promote many positive physiological changes that can heal a number of ailments. There are studies that have seen a correlation between reflexology and improved symptoms of certain ailments. These include eight randomized clinical trials which found that reflexology was effective for treating diabetes, premenstrual syndrome, cancer, multiple sclerosis, symptomatic idiopathic detrusor over-activity and dementia. 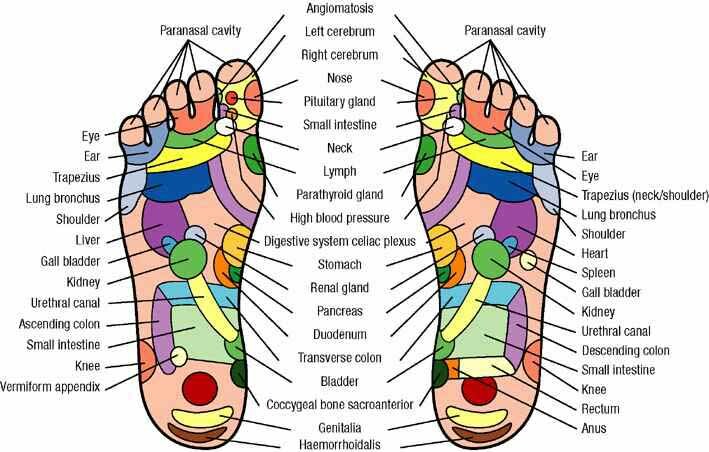 Reflexology also allows you to target specific points on your body by using the same principles of acupressure. Now that you know about all the ways that reflexology can benefit your health, I am going to show you how to perform it on yourself with this simple foot massage! The first thing you are going to do is sit on a comfortable but solid chair. Lift up one foot and rest it on the knee of your opposite leg so that you can easily rub and massage the bottom of that foot. Make sure to keep your back straight and not to slouch. Next, you need to take a look at your Acupressure Foot Chart (below, or click here) and identify what part of your body that you want to treat. For example, if you are having neck pain, find the number that the “neck” area is listed as. Then find the corresponding area of your foot located on the chart that is labelled with the same number. This is the area of the foot that you will be manipulating. Once you have found the area of the foot that you will be applying pressure on, use the tip of your thumb to press and knead that area deeply for between 1-2 minutes. Then repeat this with the opposite foot and the opposite thumb. Repeat this process for any other area on your body that you want to treat. You can perform this type of massage daily. However, these pressure points will adapt to the stimulation that you are putting them through and eventually it will not be as effective. Therefore, after every 10 days of consecutive reflexology, you should take a 3-4 day break to allow the pressure points tolerance to decrease. Try this method of massaging pressure points in your feet if you have any aches, pains or ailments that you are currently experiencing, and let us know about your experience with reflexology in the comment section.